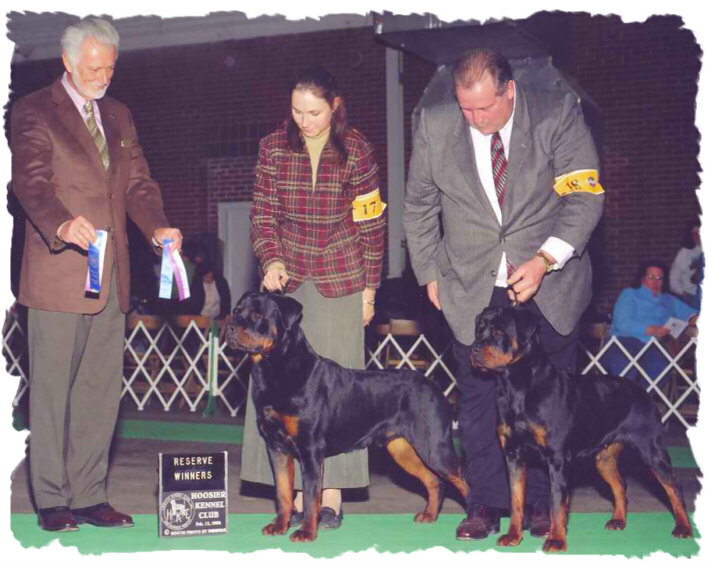 Following in her famous record-breaking father's (Multi-BIS/BISS/AOM Select 1 Ch. 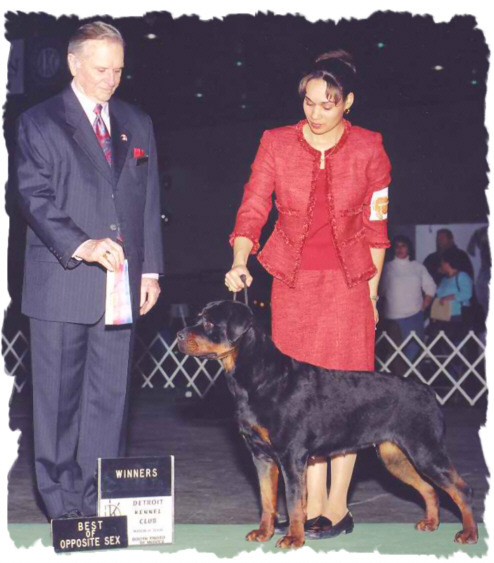 Carter's Noble Shaka Zulu) footsteps, Maddie is destined to be a very special "Shinning Star"... and don't let her name fool you! 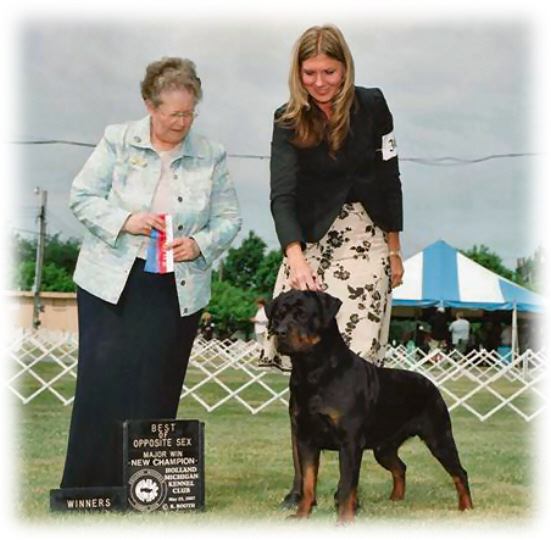 As sweet a temperament this gal has, she totally lives up to being "Naughty" ever chance she can. 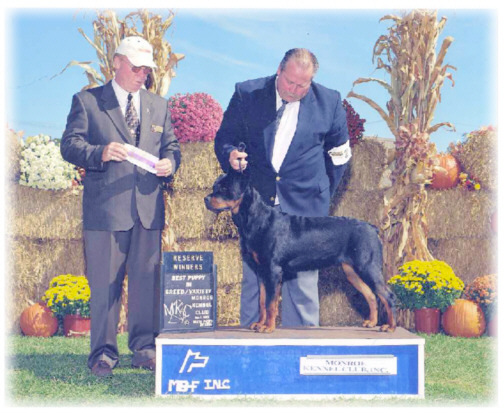 Maddie has already taken the show ring, in a very natural way, too the outer limits, finishing her Championship with ease. 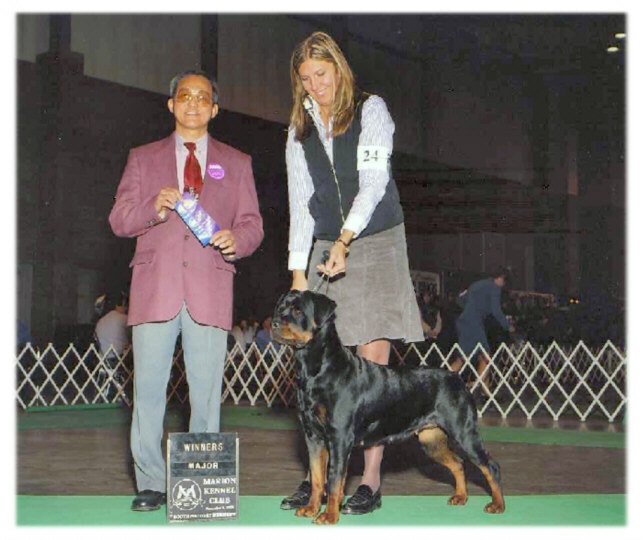 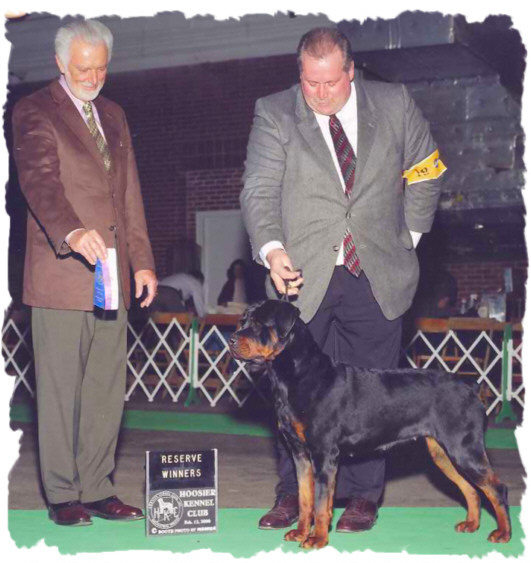 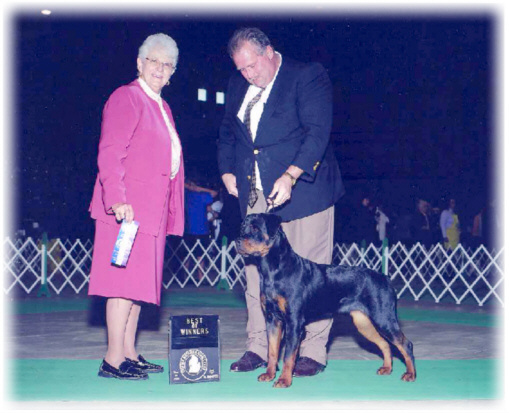 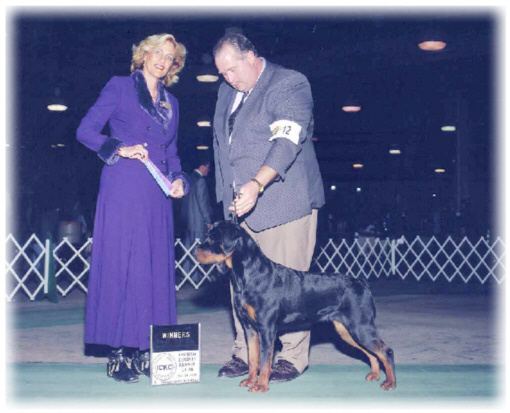 At a very early age, she took Multi-BOS wins over specials, Multi- Best Puppy in Breed & Group Placements, also Rottweiler Specialty Wins and Placements. 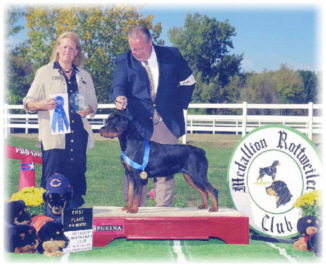 Dreams do come true when you wish upon a star and this gals dreams are just getting started!